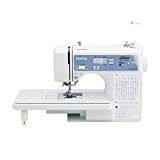 SINGER Heavy Duty 4432 Sewing Machine with 32 Built-In Stitches is currently selling at $143.54, approximately $3.80 lower than average, giving a potential saving of $31.17 right now. With a lowest price of $115.00 and an average of $147.34 it is selling on the low end of its usual range. Price volatility is 1.63% (meaning it does not change often), so the price should stay low for a while. Right now this product is a recommended 'good deal'. 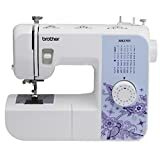 Compare the current price, savings (in dollars & percent) and Buy Ratings for the top Sewing Machines that are closely related to SINGER Heavy Duty 4432 Sewing Machine with 32 Built-In Stitches. 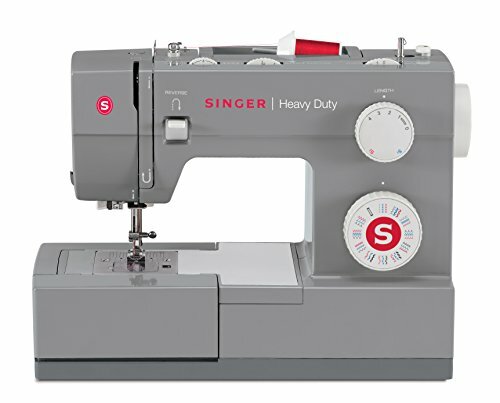 Here is how SINGER Heavy Duty 4432 Sewing Machine with 32 Built-In Stitches compares with other leading Sewing Machines. FeaturesSINGER HEAVY DUTY SEWING MACHINE: The 32 built-in stitches including basic, stretch, decorative, and buttonhole stitches allow you to sew a variety of projects, such as fashions, home décor, quilts, crafts, and more!AUTOMATIC NEEDLE THREADER SEWING MACHINE: After following the threading path printed right on the machine, this built-in feature helps you to effortlessly thread the eye of the needle without eye strain or frustration.HIGH-SPEED SEWING MACHINE: The SINGER Heavy Duty 4432 sewing machine has a maximum sewing speed of 1,100 stitches-per-minute, so projects can be sewn quickly. 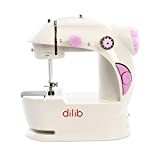 The 60% Stronger Motor provides greater piercing power for thick seams.HEAVY DUTY METAL FRAME: Adds stability and provides long lasting durability.